So once again, Randy Jackson is the man in the middle of "American Idol," which might be the most hopeful thing we can extract from the latest revamping of the judges’ lineup. 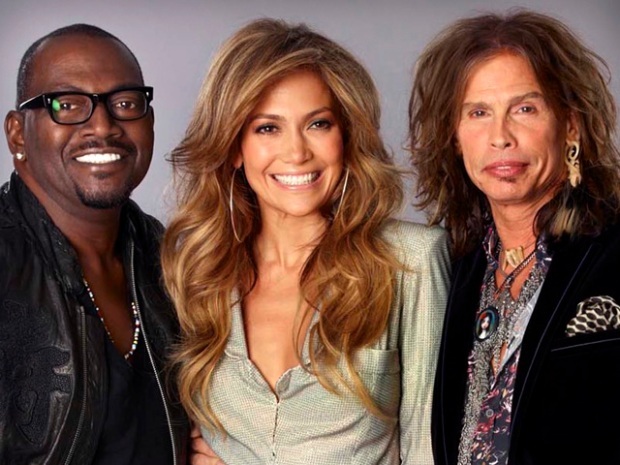 As the only holdover from the original panel, the pressure is on Jackson to hold the show together amid the addition of two rookie judges – Jennifer Lopez and Steven Tyler – both seasoned big stars, undoubtedly with egos to match. "I’m calling 'Idol' Season 10 'The Remix,' baby!" Jackson declared at Wednesday’s manufactured event to announce the warmed-over news that Lopez and Tyler were officially on board, following weeks of tiresome rumors. Jackson long has been the most underrated and underappreciated “American Idol” judge. From the start, he offered an affable medium between Simon Cowell’s often-cruel sniping and Paula Abdul’s loopy pronouncements of love for all. You always can count on Jackson for a gut check – he’s usually on-target in his judgments and respects contestants enough to be honest while rarely cutting. His impact, though, was blunted during this weak past season, when “Idol” went to a clunky four-judge format. Ellen DeGeneres’ strained bid to become the show’s clown and Cowell’s bitter, long goodbye wound up dominating the Fox program, particularly amid a mediocre singing talent pool. But DeGeneres and Cowell were only part of the problem: Kara DioGuardi, in her second season, failed to sufficiently distinguish herself as a presence, coming off at times as a Jackson clone (even if she could fill a bikini to much better effect). All too often, she seemed in sync with Jackson in sizing up the contestants, even occasionally co-opting his “pitchy” catchword. This is somewhat understandable – both have similar behind-the-scenes roots in the music industry – but not good for the show, whose ratings are in decline. The delicate balance that carried “American Idol” to huge audience numbers through the Abdul years got out of whack when the show became more about the judges than the young singers. There’s a big risk of a replay of that dynamic this season with much of the media and fan focus sure to be on Lopez and Tyler. So listen up dawgs and dudes: We’ll be rooting for Jackson, who may prove the key to whether the new “American Idol” lineup sings or just ends up a pitchy mess.